"A Relaxing Spa Experience, With Unbelievable Results Will Bring You Back Month After Month!" Are you ready to release that everyday stress? Want to transform and revitalize your skin? Welcome to Your Skin Beauty Revival in Farmington Hills, located on Northwestern Hwy, between Middlebelt and 13 Mile Rd., on the upper level of Cal & Koehler Salon. For the best quality and value we invite you to feel the experience, spend an hour of the day in pure relaxation, and treat yourself to the many services we offer in our Day Spa. Our talented professional staff are expertly trained in the most advanced technologies and offer unparalleled and unique treatments. We wanted to create an experience where people could relax, feel pampered and not rushed. 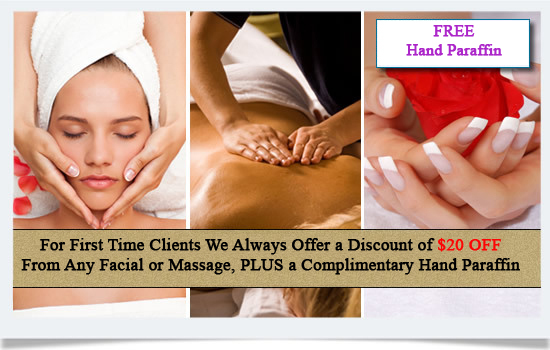 Treat your friend, a relative, or that someone special with a gift of beauty by choosing any of our Gift Certificates. The most perfect facial I have had. Calming, informative and worth every penny. The facial services are the best. I've seen amazing results with excellent advice and tips for maintaining great skin. This was such a great experience. The facial and massage was so relaxing I will definitely be returning. The service was professional and overall just great. The best service you can get!!! Facial massage is amazing!!! Thank you, Luba, very much..! !